From The Beginning to The End, is certainly the widest ever topic one could discuss. Many lifetimes can be spent on trying to understand it, but what makes this lifetime a special one to make the effort, is the unique cycle of events transpiring now on Earth, events that last occurred only 25,920 ago. What matters much, is not the detailed history, but the purpose and essence of life and intelligence on Earth as well as in the Cosmos. Earth has had a wonderful history over its millions of years of evolution, and out of so many varied sources of its history you are lucky if you found some authentic ones. There are many amazing events that occurred on earth, but the problem we face now is that too many people are getting lost in ‘what was’, with the direct consequence that they do not have much time and energy left to put into ‘what is’ and ‘what can be’. History belongs to those who write it! What matters now, is whether you truly understand what is transpiring on earth… and also, what part you choose to play in it. Just as the beginning is so far back, that it is beyond our comprehension, so also, the end is so far beyond our wildest imagination. As you experienced, 2012 was not the end of time like many prophesized. Even those who said that it was the end of the old and the begining of the new were questioned by many for evidence. Creation first begins in the energetic planes, then it moves to the mental planes and later it manifests in the physical planes. 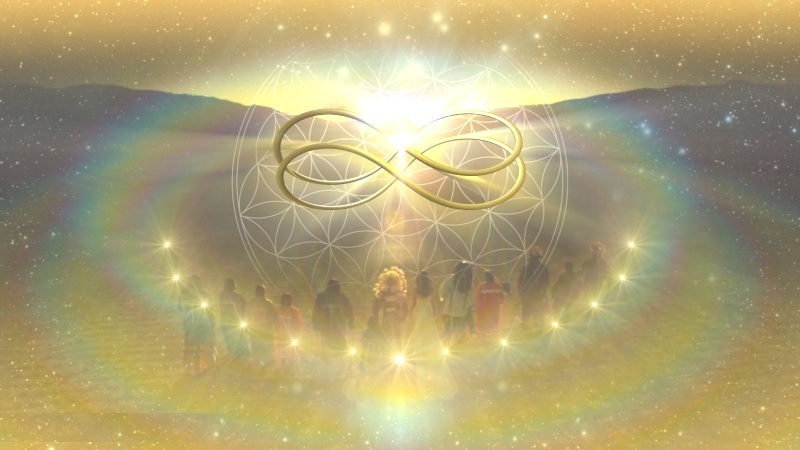 Many new things were created in the energetic planes of the ‘Akasha’ in 2012, which then descended to the mental planes in 2013, and 2014 was a year where they were talked about and initiated. 2015 will be a year where much will begin to manifest in the physical planes, and all will have their evidence! Time is speeding up, and humanity is shifting from old dysfunctional systems to new systems that honor symbiosis of all life on Mother Earth. If you are with these changes, you will flow, and joy and excitement will be part of your life… everyday! If you resist the changes and choose to be stuck with the old, you will experience many problems that will be part of your learnings. So choose well. This entry was posted in Uncategorized and tagged alchemist, alchemy, ascension, ayahuasca, babaji, christed, CMSE, destiny, enlightenment, god, guru, higher self, Jesus Christ, lightworker, love, metaphysics, soul, spirit, spirituality, stargate, the law of creation, therapist, yuga. Bookmark the permalink.